Preston City Centre will see an intense burst of cultural and creative activity hit the Flag Market, Harris Museum, and pop-up Tundra Bar over the weekend of December 14th – 16th. The Frozen North Winter Weekender will see a host of characters inhabit a pop-up forest of neon shards in a wide range of events for all the family. Live performances, Christmas craft workshops, film screenings, mass gatherings, food and drink, guided walks, storytelling, live music and more! There is something for everyone, from family daytime activities to late night carousing. 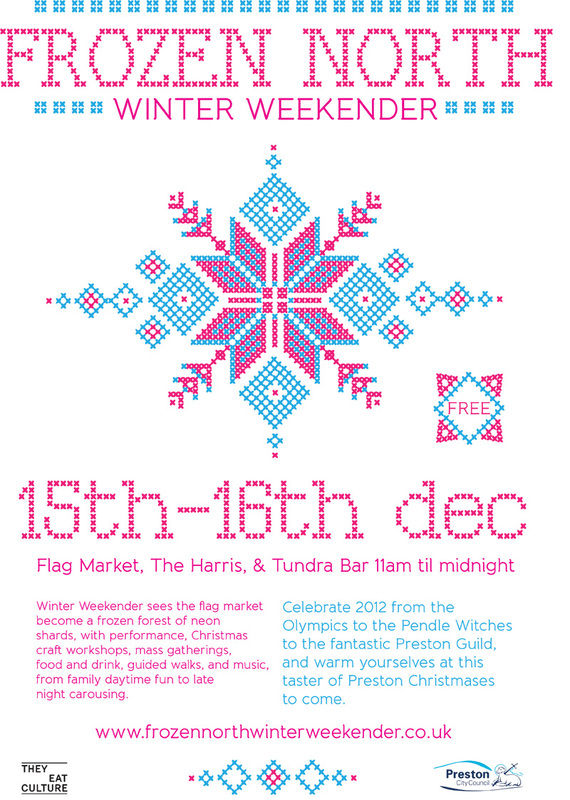 Events will take place at the Flag market, The Harris Museum and the Tundra Bar from 11am until Midnight. See What’s On for full event listings.